Streamline Educational Management & Processes! Managing an educational institution is a complex and challenging job. As well as providing an effective learning program, you also have to manage budgets, student enrollment, building projects, and additional educational services. Of course, the overall goal of any institution is to improve the quality of education for the students. Intellect can help you do that by reducing the amount of paperwork and streamlining processes; allowing teaching staff to spend more time with their students. Keep track of finances, monitor budgets and streamline workflows. Create reports to streamline daily checks and identify conflicts of interest. Integrate with Intellect’s Smart Mobile Apps to manage and review enrollment forms on the go. Integrate library services to get real-time updates and information. Make faster decisions with our grant management system. Request a FREE demo today to learn how you can cut costs and streamline administrative processes for your institution! An award winning platform that offers the industry’s most intuitive solution for connecting apps, people and processes. Turn to Intellect to ensure administrative processes run smoothly, and each educational outcome is a success. 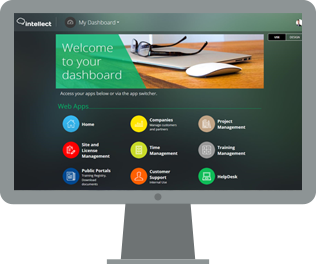 With Intellect's business friendly and no-programming environment, you can build and deploy Smart Enterprise Apps in no time, allowing you to get to work immediately, streamline processes for your school or college. Educational management is going mobile, so you need a solution built for a modern mobile world. Intellect allows you to build once and deploy everywhere, via our native mobile app with offline capabilities. Get up-to-date information for your educational institution via the Cloud. 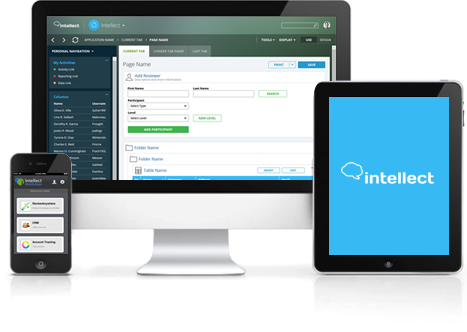 Intellect are the world's leading provider of Cloud-business management, allowing you to access data wherever and whenever you like.